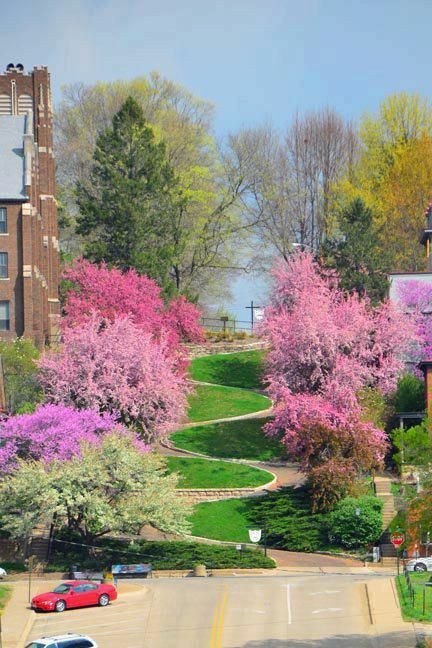 Iowa, nicknamed The Hawkeye State, is located in the Midwestern US and it is an amazing place to live, and to visit. Some people spend their entire lives here and still haven’t seen some of the places on this list. Pikes Peak State Park is a hiker's delight with eleven and a half miles of trails. 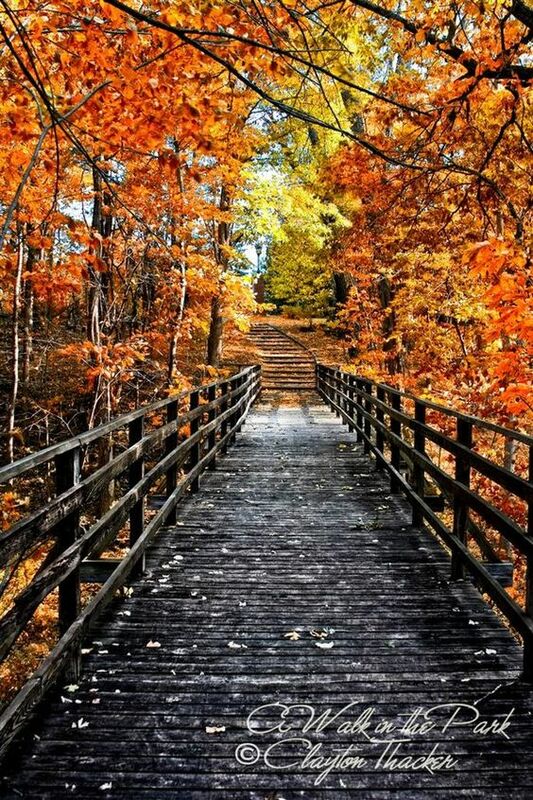 On its trails, hikers can explore beautiful wooded bluffs and valleys. 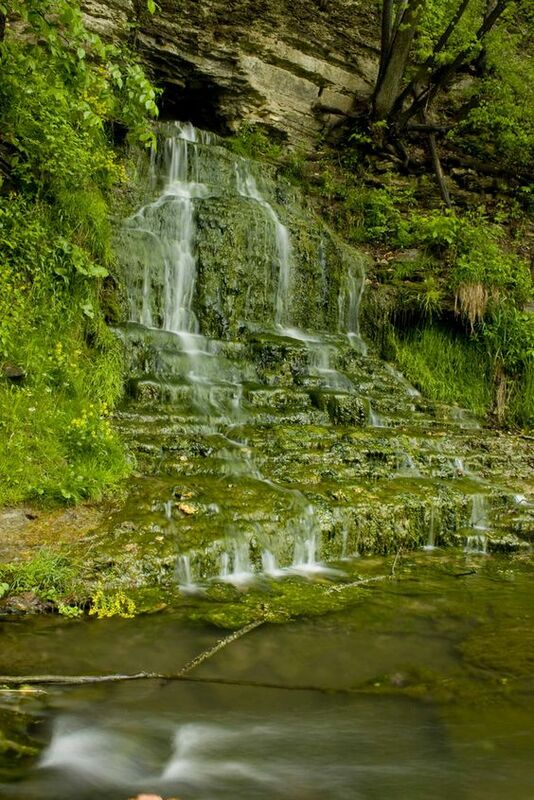 Located in Clayton County, this magical, mossy waterfall can be seen on your next visit to Spook Cave in McGregor. The falls are a stunning 20-foot cascade that is well worth the journey to reach them. 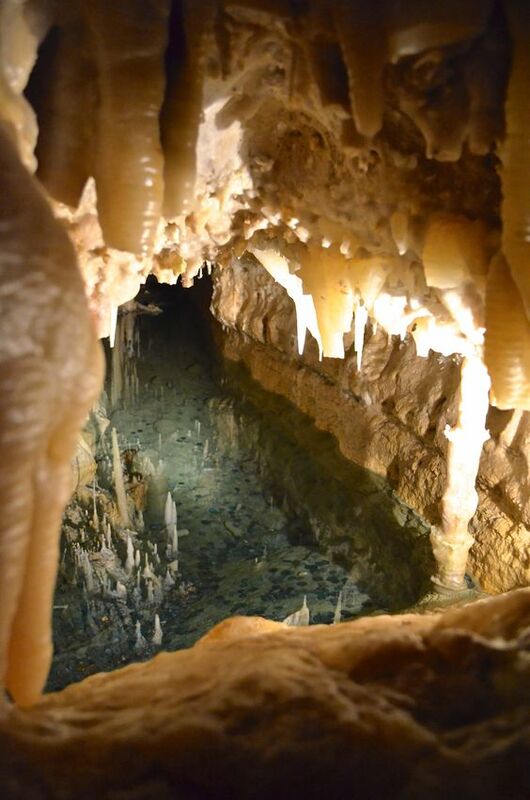 Crystal Lake Cave is without a doubt one of the most beautiful places to visit in the state of Iowa. Pristine stalagmites, helictites and rare anthodites are all on show in this stunning cave system, which is described by its organisers as a Matchless Wonder. 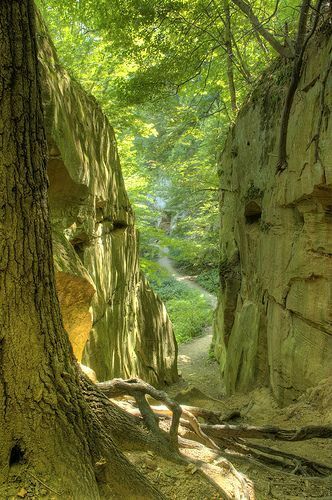 Wildcat Den State Park is one of the most unique parks in Iowa, combining natural beauty and solitude, unique trails and preservation of historical structures. The High Trestle Trail is named for the original railroad bridge that spans the Des Moines River between Madrid and Woodward, on the trail's northern end. 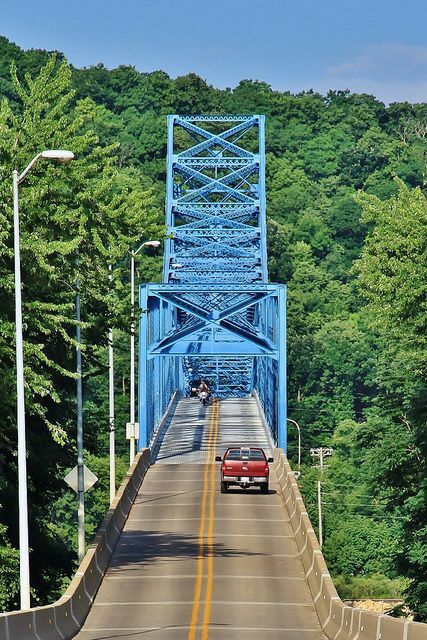 This dramatic trestle is a work of art itself: a half-mile long, the bridge rises 13 stories, that's 130 feet, and includes scenic overlooks with spectacular views of the valley below. Snake Alley, called by some The Crookedest Street in the World, was built to move traffic up and down a hillside too steep for a straight road. 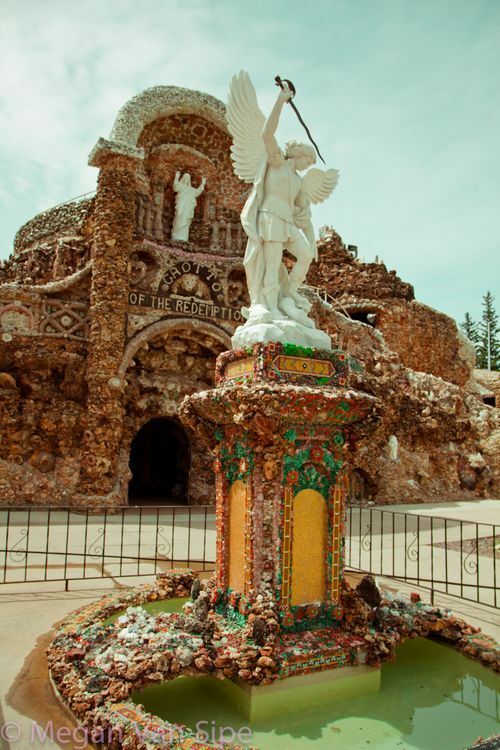 Largest man-made Grotto in the world portrays scenes in the life of Christ using stones and gems from around the world. Maquoketa Caves is probably Iowa's most unique state park. Its caves, limestone formations and rugged bluffs provide visitors a chance to "step back" into geological time thousands of years. 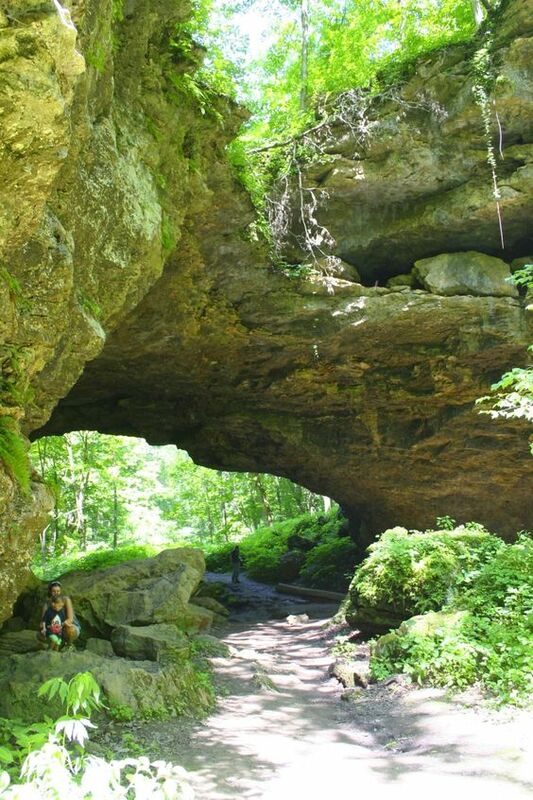 The park contains more caves than any other state park in Iowa. A beautiful trail system links the caves, formations, and overlooks while providing an exciting hiking experience. Carries US 52 across the Mississippi River between Savanna, Illinois and Sabula, Iowa. The view from this end looking east toward Savanna is beautiful. 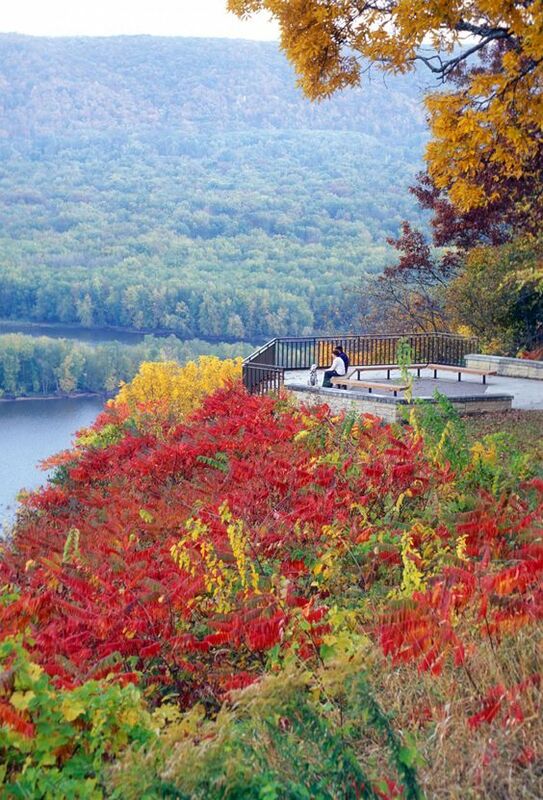 Sits along the west bank of the Mississippi River. Enjoy a leisurely walk around the lake or settle in for a picnic under one of the many species of trees. The park features four shelter houses, horseshoe area, a historic Curly-Q slide, walking trails and a number of beautiful gardens. In the green east-central Iowa River Valley along Interstate-80 (100 miles east of Des Moines), the seven Amana Colonies have clung to their roots with German steadfastness since 1855. Almost half the residents are descendants of the original German colonists; inns, restaurants and shops draw heavily on traditional foods and handicrafts. 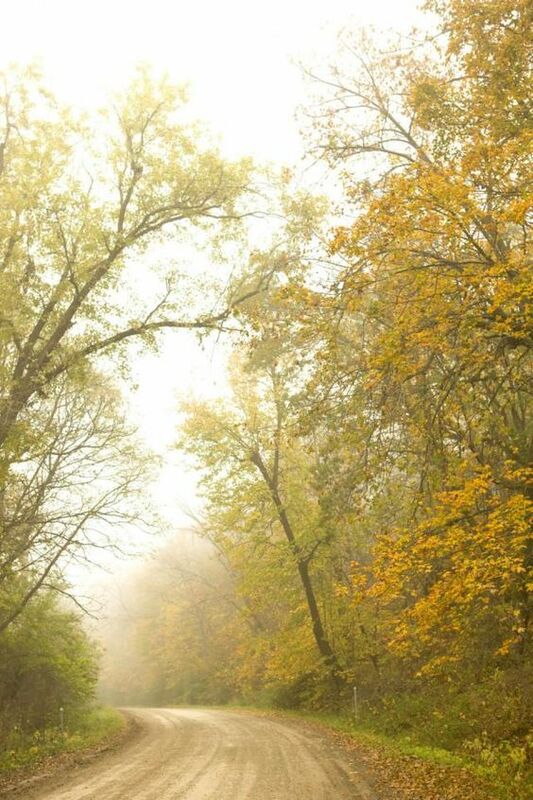 Autumn color paints the valleys and family farms between the Villages of Van Buren County, seven historic burgs punctuating this quiet 110-mile drive along the Des Moines River in southeast Iowa. The Wapsipinicon Mill is one of Iowa’s largest grist mills, towering six stories above the Wapsipinicon River. 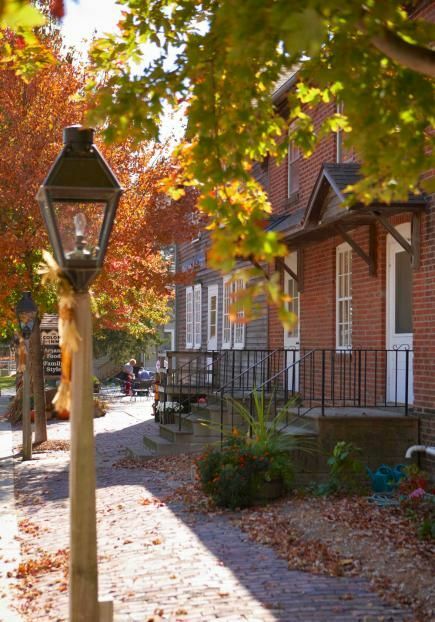 Within walking distance to beautiful river side parks, specialty shops and eating establishments in historic downtown Independence.